Most teachers use this so you might have seen it before. 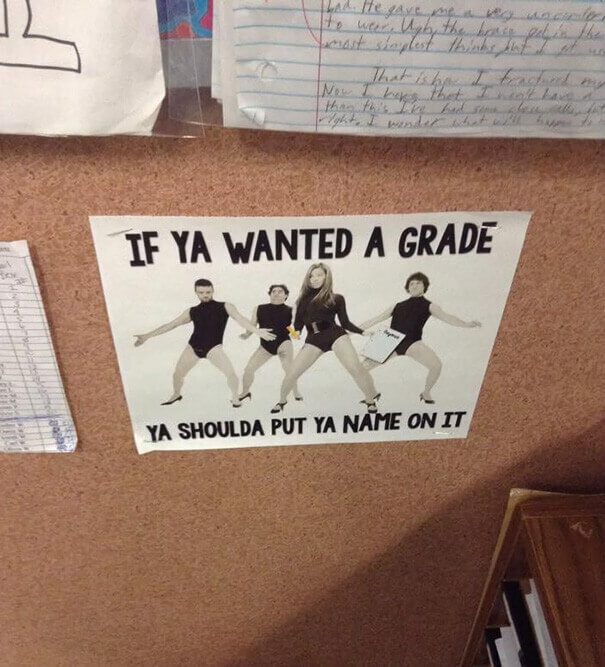 This would be a fun way to embarrass the student. If they hand you the paper with no name, the teacher should make you dance and sing to Beyonce’s smash hit. It’s not that hard to write your name people!